Little boys and girls will be entertained for hours pushing around balls, dirt, sand or other toys with their bulldozer ride on toy. They will be thrilled to engage in pretend play while digging and hauling around as they explore the outdoors. What better way to teach your little one about hard work and social interaction, then to give them the gift of a kids ride on bulldozer for construction play time. 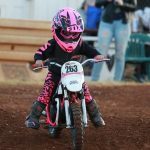 Finding a toy for your child to enjoy should never be a stressful experience as we’ve compiled the best choices for little riders to develop motor skills and learn through exciting role play. We will also introduce you to all of the exciting reasons why both parents and kids love rideable bulldozer toys! The Kid Trax Cat Bulldozer is a 12-Volt battery powered ride on that powers forward with Power Trax rubber traction strip tires. Your child will be able to ride for up to 2 hours with a top speed of 2.5 miles per hour. No need to purchase the battery and charger separately as it comes included with the caterpillar toy bulldozer and the wall charger takes 14 to 18 hours to charge. It even comes with accessories including a hard hat and two plastic boulders to give kids the feeling of being a real construction worker. 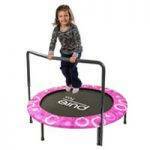 This model measures 44 x 29 x 30 inches and can hold up to 55 pounds which is plenty to accommodate a toddler. Kids can charge full speed ahead or if they need to redirect, they can put the ride on toy in reverse. This model features an electronic diesel motor along with construction-themed sound effects to fuel the imaginations of young riders. With twin motor power, kids use the attached handlebars to steer in place while they are in motion. Once assembled, your child can hop on to ride and easily operate the manual lift and dump bucket to pick up toys, dirt or rocks. This toy is built to last and will have your children believing they are riding a real life bulldozer! 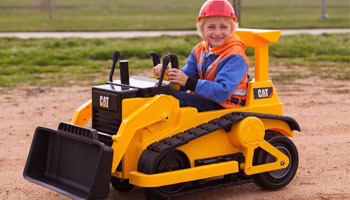 >> Check out Kid Trax Cat Bulldozer on Amazon right here. Young children can envision that they are excavating the backyard with the Vroom Rider Bulldozer Ride-On. This bright yellow ride on truck will bring a new level of excitement to play time. Recommended for ages 2 to 5, little kids love to step on and engage in pretend bulldozing. This model has real working levels to lift and lower the attached scoop. It can hold up to 66 pounds making it a perfect fit for growing children. This toy isn’t just for toddlers, even some bigger kids can fit on the seat. 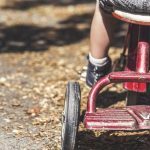 Parents can assemble the toy in under ten minutes, so kids won’t be waiting long to ride it around the backyard or in the house. Constructed from eco-friendly plastic, this ridable bulldozer is kid tough and will last for years. It measures at 24.8 x 9.8 x 21.6 inches and weighs only 8.3 pounds making it quick to move around. The color scheme resembles a real bulldozer with black tires and a yellow, blue and grey design. It even has sticker decals to make it even closer to the real thing. Little boys are fond of playing outdoors picking up dirt and rocks as they move forward and backward with the bulldozer toy. >> Check out Vroom Rider Bulldozer Ride-On on Amazon right here. If you want to buy your child a toy that will get the job done, the Little Workers Bulldozer by Plasmart is a fun choice for playing outdoors. This ride on bulldozer has manual controls for kids to dig in the dirt, beach, sandbox or even the snow. They simply push and pull on the two bright ride handles to scoop through various types of materials. Kids can improve their coordination and manual dexterity as they learn how to use the lever controls. This is one of the toughest toys for children as it features a metal frame which will last much longer than a plastic material. Measuring at 31.5 x 13 x 15.9 inches, this sturdy toy is ideal for kids ages 5 to 10 years. With a maximum weight limit of 150 pounds, parents may even be able to sit on to show their little movers the ropes. It weighs a mere 8 pounds making it effortless for children to maneuver around outdoors. Kids will shove through loads just like a real earth mover, just without the powered controls. Active play will be even more fun when your little one has full control over the bulldozer so they can imagine like they are doing real construction work. 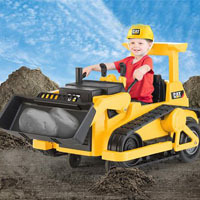 >> Check out Little Workers Bulldozer by Plasmart on Amazon right here. For kids who thrive on entertainment, the Vroom Rider 4-Wheel Bulldozer Ride-On is full of action and excitement. It travels up to a speed of 1.55 miles per hour and is powered by a 6 volt 4.5AH rechargeable battery. It comes included with both the battery and charger, so you will just need to recharge it overnight after your little one wears it out. The four wheels move forward and backward so kids can roll through the dirt in both directions. 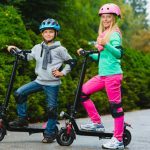 With a long battery life and durable frame, parents and kids alike find that this is a terrific riding toy. Designed for kids aged 2 to 5 years, your toddler will be able to enjoy the fun for years to come. It is also constructed from an environmentally friendly plastic which is great for outdoor and indoor use. Kids engage with the toy by steering the wheel and using the attached lever to operate the scooping mechanism. What makes it the most fun is the different melodies and a loud horn for kids to alert their friends that they are hard at work. This interactive toy is a great choice for toddlers to pretend like they are construction workers. >> Check out Vroom Rider 4-Wheel Bulldozer Ride-On on Amazon right here. The Fisher Price Big Action Load ’N Go ride on features durable engineering for kids to dump and haul for hours on end. This plastic bulldozer ride on comes packed with fun as it has several different realistic construction sounds. To operate the sounds, the toddler ride on bulldozer comes include with 3 AA batteries. It will give riders the full experience of lifting and lowering the load mechanism while interacting with the toy. To operate the digging functions, kids simply grab onto one of the two control handles to move it up and down. Made from rugged materials and weighing 11 pounds, this toy not only looks like the real thing but will last for many play sessions. Your child can even bring along their favorite toy by placing it in the under seat compartment. This fully equipped construction ride on will pick up dirt and other outdoor materials as kids travel around on various terrains. Measuring at 13.2 x 27.8 x 14.9 inches, it has a wide stance for added stability which is great for toddlers who are learning to ride. With the 4 big rig tires, children ages 12 months to 4 years can cruise around, scoop up objects and have a blast! >> Check out Fisher Price Big Action Load ’N Go on Amazon right here. Children have active imaginations and adult machines like bulldozers are a stimulating way for them to engage in active playtime. Here are some reasons why kids enjoy playing on bulldozer ride on toys. 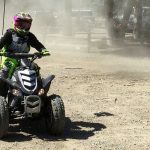 Children feel like they are in full control of the machine as they can move around dirt, sand, snow and other objects without help from their parents. Not only do they learn how to be more independent, but using a construction ride on toy can help teach them how to build different things. Whether they are crafting a sandcastle or simply paving a dirt trail; kids love to learn through digging and dumping. Kids can get together with their friends to pretend to run a full construction crew or even take turns performing various jobs on the bulldozer toy. This is a great vehicle for your little ones to socialize and come up with new stories and adventures. Kids not only are learning how to build things, but they are able to build stronger relationships with their siblings and friends while they engage in group play. There is nothing more exciting for young children than feeling like they are grown ups that are hard at work. Little boys who aspire to be home builders or construction workers when they get older will be particularly thrilled to hop on board and dig through the dirt. In general, kids jump at the chance to mimic the adult behavior and feel like they are doing real work! 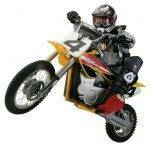 Most importantly, ride on toys are loaded with fun for both indoor and outdoor play. While kids have more space to explore and materials to haul when they are outdoors, this type of toy can still be thrilling to ride indoors. Parents appreciate being able to keep their children entertained for hours on end. Instead of getting bored after just a few minutes on a basic ride on toy, kids will be begging to stay on and finish their bulldozing for the day! Now that you’ve reviewed a glimpse of the top choices for bulldozer ride on toys, you can conclude on the one that will be the most fun for your child. Among the many reasons that kids adore big construction machines, one thing is for sure that it will provide plenty of joy and laughter for your household. Kids can dig through the dirt and interact with fun role play activities as they zoom around on their rideable bulldozer.